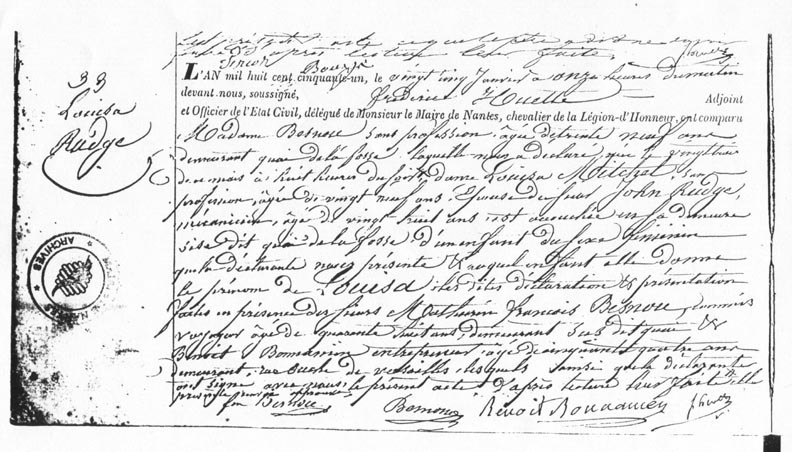 This is an image of Marie Louise Rudge's record of birth. A transcript and my attempt to translate it is located here. Last updated on 21 Sep 2002.